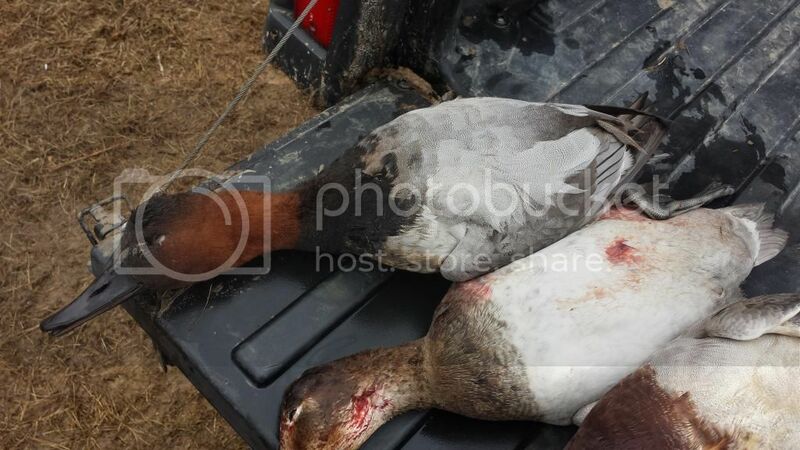 Arkansas Duck Hunt 2014 - - - 3 messages. Showing 1 through 3. Well folks, I've been at it again. 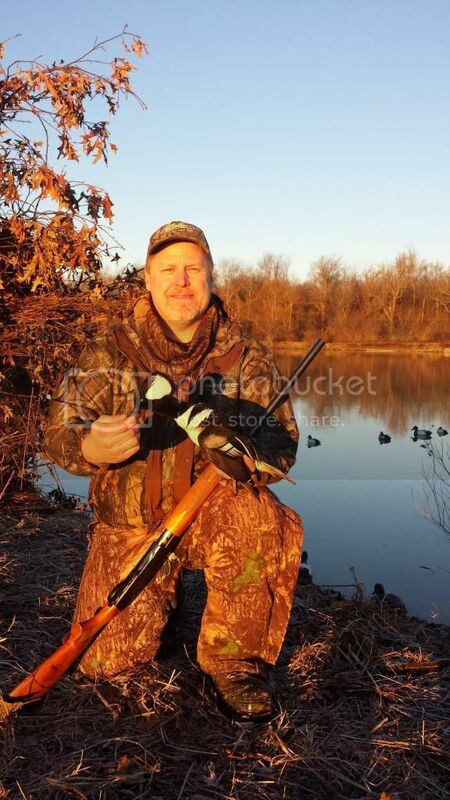 My buddy Alan calls me and says I have to go duck hunting in Arkansas. I have one spot left. In January? Yep! So I gave myself an early 50th b-day present and went along for a new adventure! 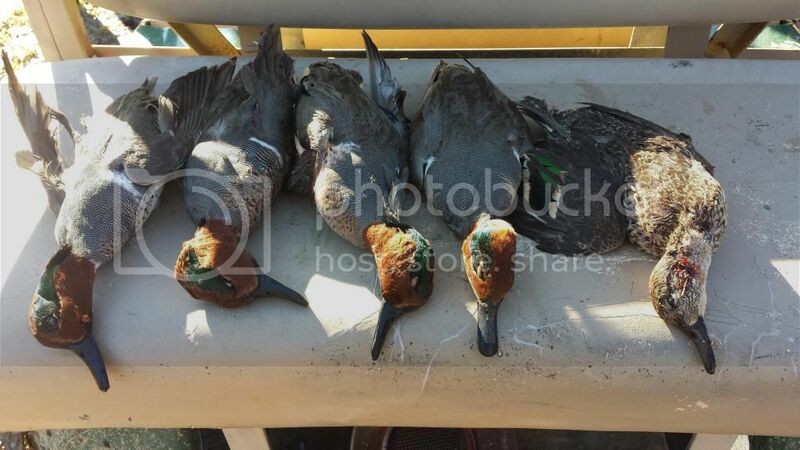 Now we didn't kill a trailer load of birds, but the ones we got were amazing in their colors and plumage. These birds have been growing and maturing for 3 months since they left MN. And they tell me that they are starting to put on their breeding plumage. 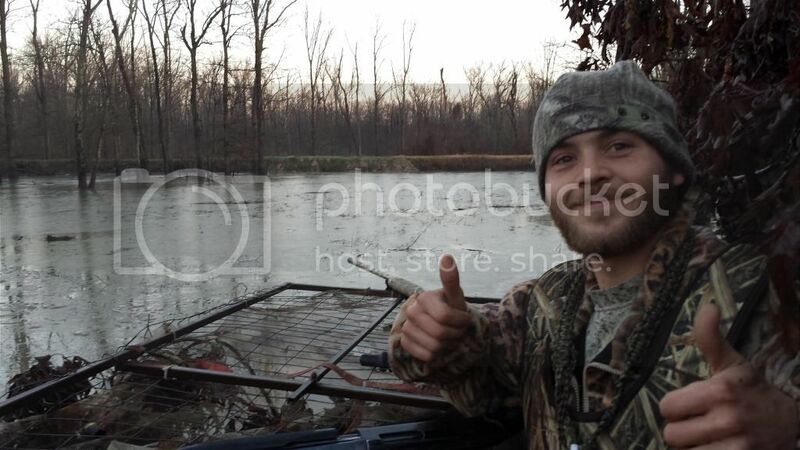 We hunted flooded timber, flooded rice fields, reservoirs, and layout blinds in fields for geese. One day we saw snow geese all day long, don't know how many thousands but wow! Didn't get any either, but enjoyed the show! Our hosts down in Harrisburg were awesome. 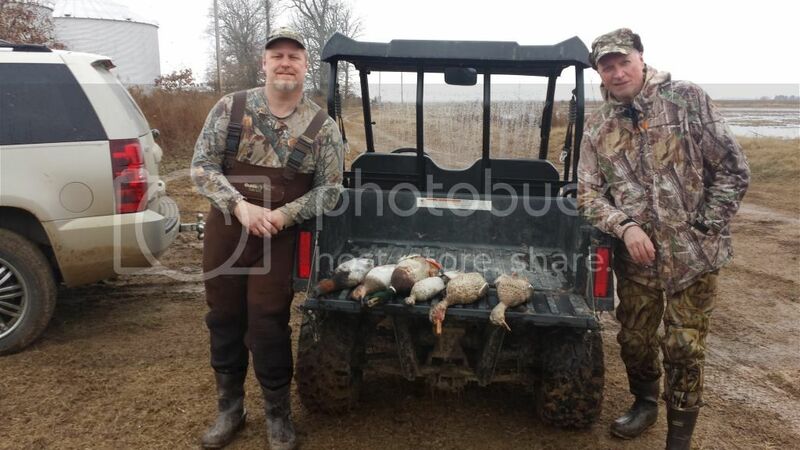 They took us around to all of their best spots and leases, called for us, put out decoys, let us use their blinds, told great stories, gave us all the birds, and became good friends all in only 3 days! Can't say enough about how good the folk is down there! Thanks to Terry, Cliff, John and George! And Alan's buddy Ross who came with and drove. Cliff...a master duck caller in flooded timber. Alan and I with some birds from George's place! 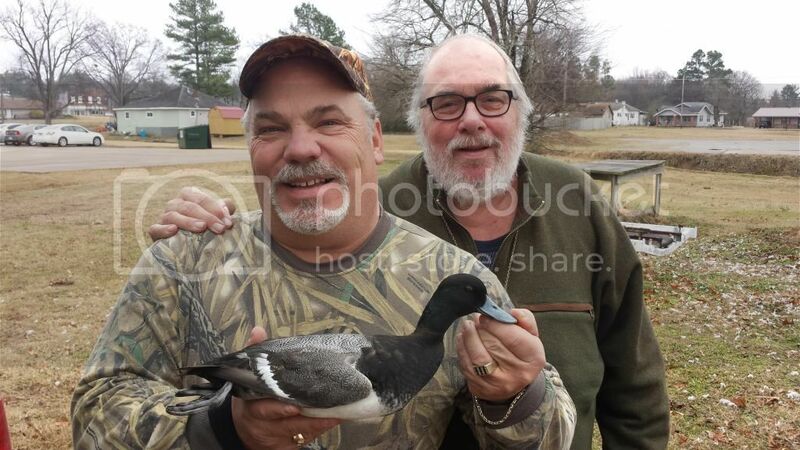 Ross and Terry with the best Bluebill I ever saw! 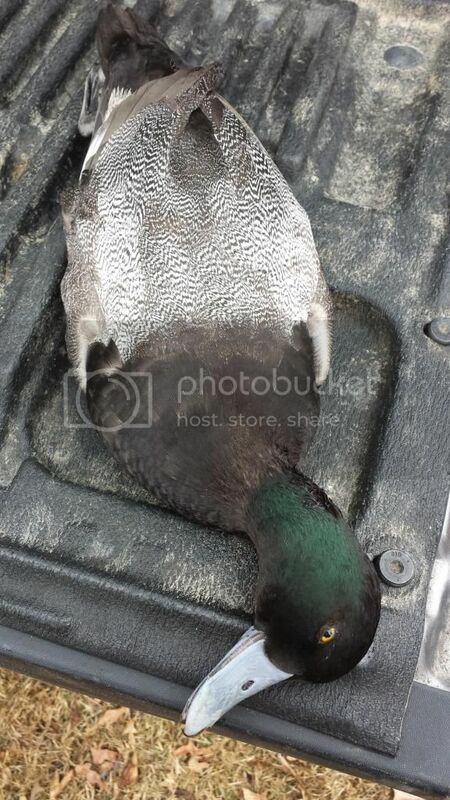 My dream bird is still the Pin Tail. Yep, I have to agree. I think a Pintail has just risen to the top of the most wanted poster. We did see some down there. They were being a bit skiddish. And we weren't shooting straight enough. Of course that's usually the way it goes when you really want one, and they are right there for the taking! I guess I will just have to go back then....dang it!!! !